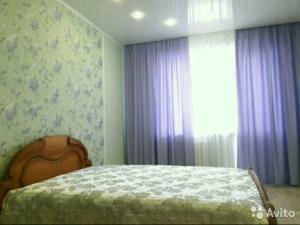 A-HOTEL.com - Luxury and cheap accommodation in Koshki, Russia. Prices and hotel, apartment booking in Koshki and surrounding. Located in Nadezhdino, Nadezhdino Inn offers a shared lounge. All rooms feature a flat-screen TV with satellite channels and a private bathroom. Hotel Complex Park hotel D-grad has barbecue facilities and a terrace in Dimitrovgrad. Boasting a 24-hour front desk, this property also provides guests with a restaurant. Located next to the Bolshoy Cheremshan River in Dimitrovgrad, Mini-Hotel Skazka offers an indoor swimming pool and sauna. The city centre is a 10-minute drive away. Situated in Dimitrovgrad in the Ulyanovsk region, Sanatory Sosnovyi Bor provides accommodation with free WiFi. Fitted with a balcony, the units feature a flat-screen TV and a private bathroom with bath and free toiletries. Located in a quiet residential area of Dimitrovgrad, a 5-minute walk to the Trekhsosnovskiy Pond and a forest, Teremok offers cozy rooms with free Wi-Fi. Free parking is available. Located in Dimitrovgrad, Uyut Inn features free WiFi. All rooms boast a flat-screen TV with cable channels and a shared bathroom. Situated in Dimitrovgrad in the Ulyanovsk region, Apartment on Svirskaya 33 2 features a balcony. Complimentary WiFi is featured. Located in Dimitrovgrad, Hotel Mr. Brown offers free WiFi. Guest Accommodation Pink House offers accommodation in Dimitrovgrad. Free WiFi is offered and free private parking is available on site. Offering free WiFi and garden views, Apartment on Gvardeyskaya 49 A is an accommodation situated in Dimitrovgrad. Guests have a private balcony. Situated in Dimitrovgrad in the Ulyanovsk region, Квартира provides accommodation with free WiFi. Fitted with a balcony, the units feature a TV and a private bathroom with free toiletries. Providing free WiFi, Gostevoy Dom Natali is situated in Dimitrovgrad. The property offers a 24-hour front desk. Апартаменты на Ленина, 40 is set in Dimitrovgrad. Guests staying at this apartment have access to a fully equipped kitchen. Featuring accommodation with a balcony, Apartment on Lenina 37A is located in Dimitrovgrad. Guests staying at this apartment have access to a fully equipped kitchen. Located in Dimitrovgrad in the Ulyanovsk region, Apartment on Lenina 37b has a balcony and city views. The accommodation features free WiFi. Featuring panoramic views of the Palace of Marriage and Slavsky Scientific Centre in Dimitrovgrad, Private Apartments is set in a residential area of the city. Apartments offer free WiFi, underfloor heating and air conditioning. Located in Dimitrovgrad in the Ulyanovsk region, Славского 7 features a balcony. The property has city views. Apartment on Slavskogo 22 1 is located in Dimitrovgrad and offers a terrace. Guests staying at this apartment have access to a fully equipped kitchen. Situated in Dimitrovgrad, Apartment on Slavskogo 22 2 provides accommodation with a balcony and free WiFi. Guests staying at this apartment have access to a fully equipped kitchen. Situated in Dimitrovgrad, Casa Blanca Holiday Park features accommodation with free WiFi and a kitchenette. A continental breakfast is served each morning at the property.